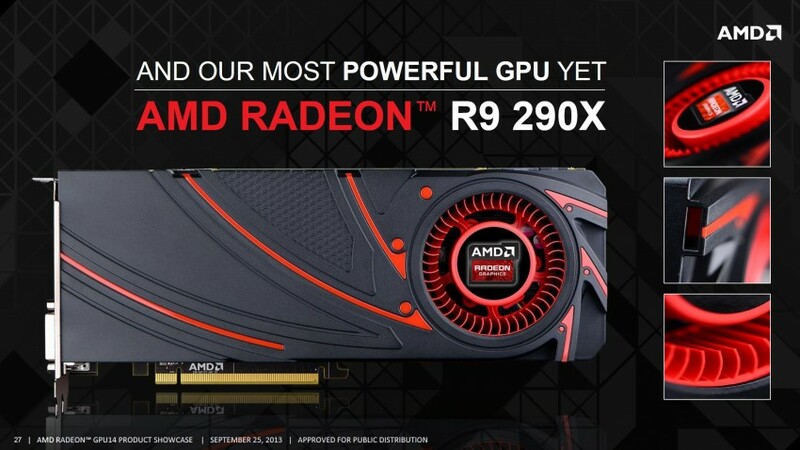 AMD announced the new R7 and R9 series last month, September 25th at GPU 14 event in Hawaii, but only today we’re given the pleasure to see their newer flagship video card in action: The AMD Radeon R9 290X. Under the hood Radeon R9 290X brings a new GPU dubbed Hawaii XT, a very powerful, tiny piece of silicon that sports a lot of power for both gaming and compute workloads. It’s also impressive to note that Hawaii is still using the same 28nm manufacturing process used by their previous flagship chip, Tahiti XT. 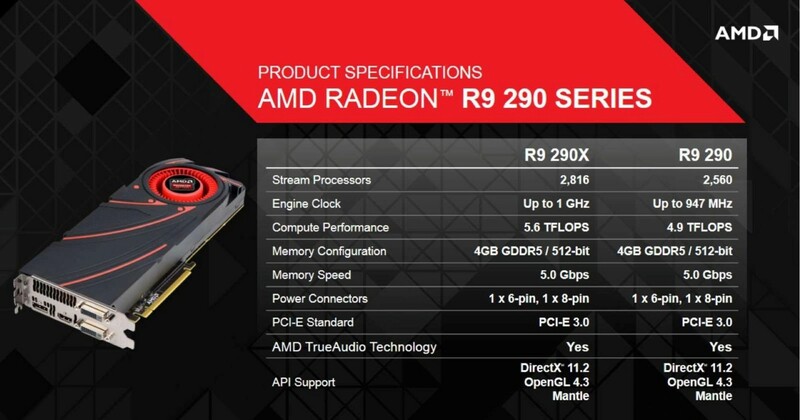 The Radeon R9 290X features 2816 GCN stream processors, 176 Texturing units, 64 render back-ends (ROPs) and 4 GB of memory on a 512-bit bus with a total memory bandwidth of over 300GB/sec, AMD vows for the best experience at Ultra HD gaming in 4K resolution with the new R9 290X. 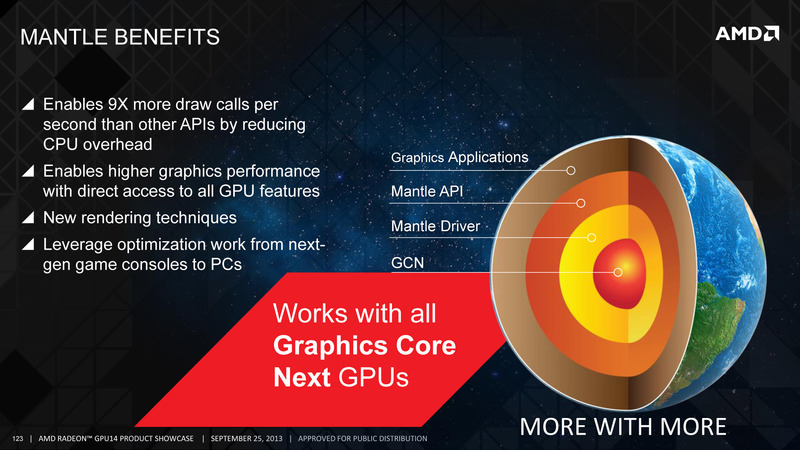 It also features AMD’s new TrueAudio DSP technology and has support for the latest DirectX 11.2 and new Mantle, an API co-developed by AMD and Dice for fastest graphics and also meant to give access to GPU features not commonly accessible by APIs like Direct3D and OpenGL. Battlefield 4 will be the first title to use Mantle with a game patch coming in late December, and I’m looking forward to adapt RadeonPro in order to fully support Mantle! Radeon R9 290X has a price tag of US$ 549, giving NVIDIA’s Titan and GTX 780 a run for the money by beating both competition video cards in several games while costing a lot less, almost half of Titan’s price which is sold for a thousand dollars. The new R9 290X started selling today, October 24th – my birthday, with a suggested retail price of US$ 549 and there is a limited version bundled with Battlefield 4, which costs US$ 579. Pretty good value! See below some links to reviews showcasing how good it performs. Good reading!